Ah, muffs. I very almost did 'Muffvent' this year but I feel certain people would not be able to cope, and I'm not sure I can sustain that level of filth and innuendo for 24 days. Who am I kidding, of course I can. Mind you, I'm not sure Father Christmas would have looked too kindly on it and I'm guessing I'm probably already on the 'a bit iffy' list. I want some presents to open, so I'll have to keep the muff-ness down to a minimum. 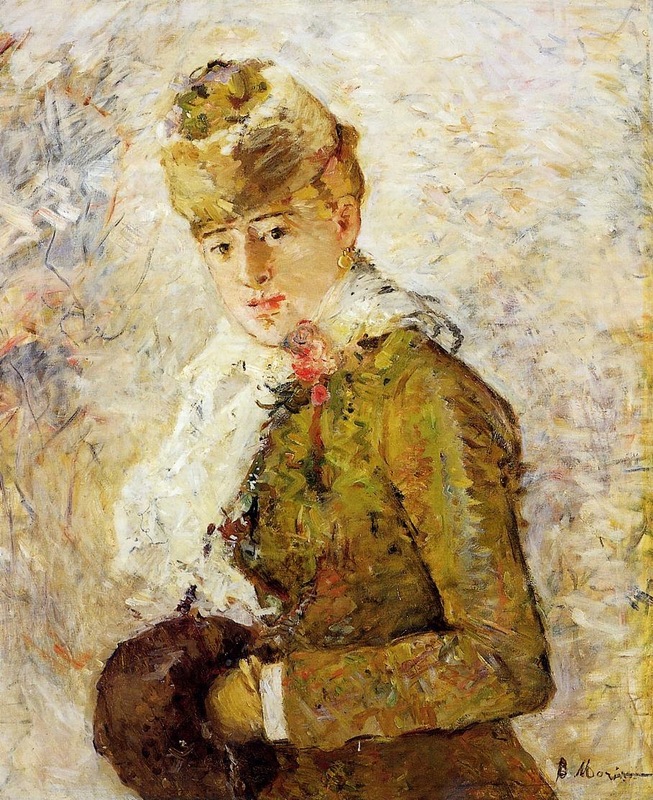 Anyway, here's a rather lovely picture by Berthe Morisot of a lady in winter dress. Morisot was a nineteenth century French Impressionist artist, one of three important women, nicknamed 'les trois grandes dames', working in Parisian society in the avante-garde style. She married her friend Edouard Manet's brother and her daughter was the celebrated artist's model, Julie Manet. Whilst I'm not an enormous fan of Impressionism, I like it but it doesn't grab me like Pre-Raph stuff does, I love the work of Morisot and Mary Cassatt, especially their portraits of women. I love the glow of white around the lady in this picture. She is golden and bright, with the air of frost nipping the air about her and the scarf around her neck. The depth of colour in her muff speaks of warmth and comfort, a necessity for this stylish young woman who has spirit and determination about her expression. She's off to enjoy life and will not let a bit of frost get in her way. 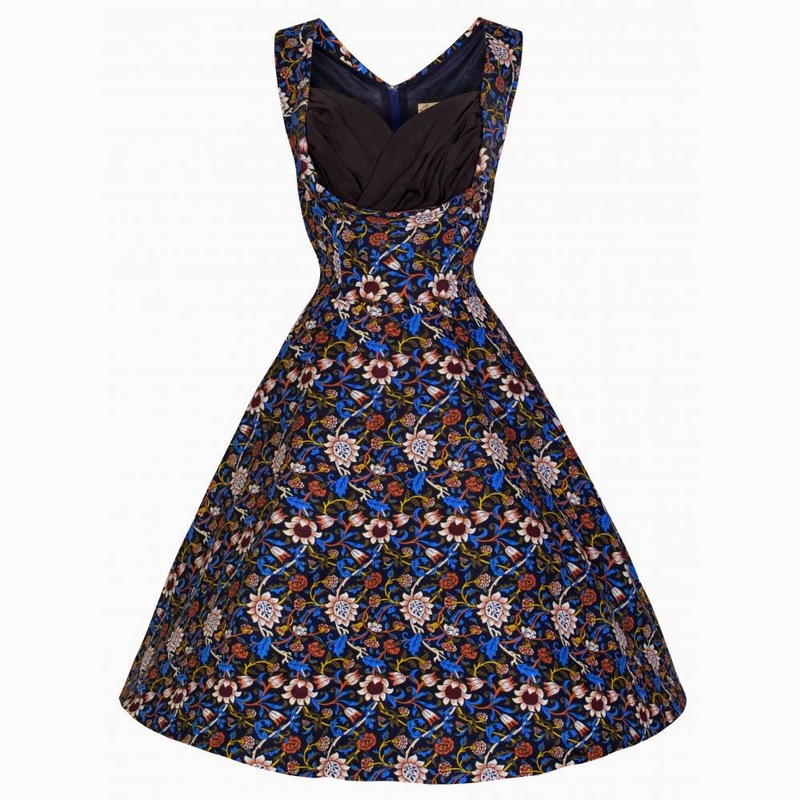 To buy the dress from Lindybop's website go here or to Amazon, who stock the frocks too. Now I know that Christmas is coming, when you start mentioning muffs! I agree about Berthe Morisot and Mary Cassatt. Best wishes - I am looking forward to the rest of the posts. P.S I am hoping the hedge lurker who bothered me slightly last year won't be putting in an appearance this advent! I really must do Muffvent next year and get all the filth out in one month. It would do me good I suspect. Thanks for your comments and see you tomorrow!